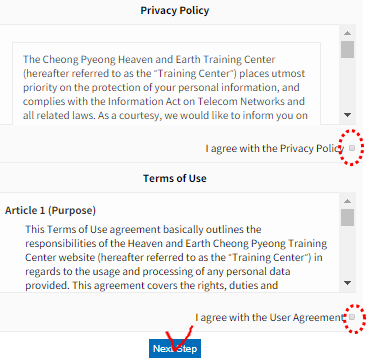 √ How to join the HJ Heaven and Earth CheonBo Training Center Homepage? 1) Please click the 'Join' button located on the top right corner of the Main Page. 2) Then follow the instructions. √ I want to quit the Training Center English Homepage Community. 1) Please login the Homepage. 2) Please click the 'Modify' button located on the top of the main logged in page. The 'Modify Page' will appear then re-enter your password again. 3) At the bottom of the page there is a button 'Leave Membership'. Please press that button and follow the instructions. √ I want to change my ID. You cannot change your ID once you have made. Please erase the current account and make another account. √ I want to stop receiving the newsletter 'Nanum-Sarang'. 1) Login the Training Center Homepage. In the 'Modify Page', please type your password again. 3) As you can see down the page. You can see the category 'Whether to receive Nanum-Sarang'. Then please uncheck the 'I would like to subscribe to the Love-Sharing newsletter' and click 'Edit' on the bottom. √ I mistakenly made two different accounts. Please erase one of them. √ I want to receive the Training Center E-Newsletter, 'Nanum-Sarang'. Please join the Training Center English Homepage community to receive the E-Newsletter. 1) Login Training Center Homepage. 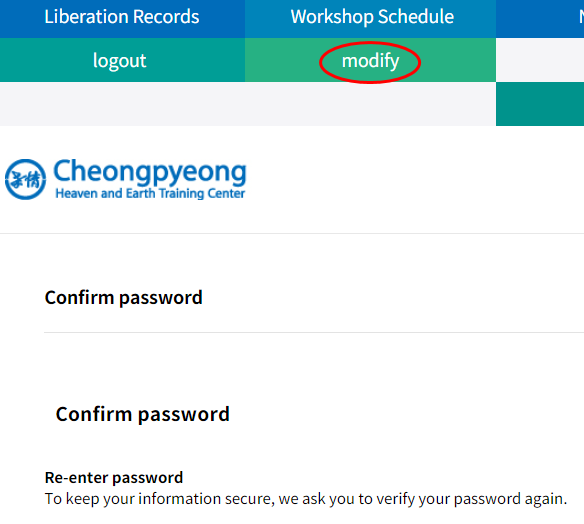 In the 'Modify Page', please enter your password first, then change the information you want. 3) Then press 'Edit' and your information should have been changed. √ What ID do I have to put in? Please decide an ID and password of your choice. Make sure you remember your ID and Password since it is necssary information for you to have when logging in the Homepage. 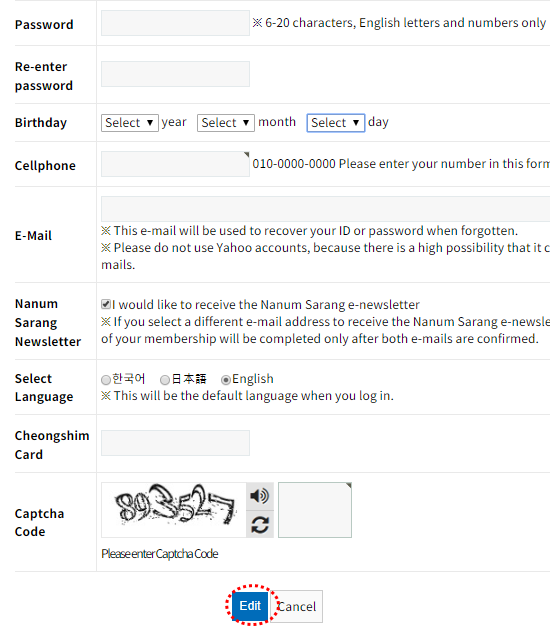 √ Method to apply for ID and Password for HJ Heaven and Earth CheonBo Training Center Homepage. 1) First, click the 'Join' button located on the top of the Main Page. 2) Then a browser will appear where it requires you to type necessary information to acquire the ID. 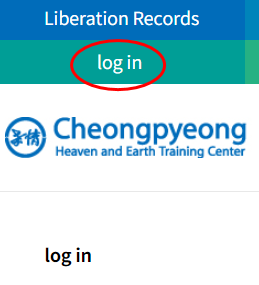 √ Where do I get the ID and Password needed to login the HJ Heaven and Earth CheonBo Training Center Homepage? Please click the 'Join' button located on the top of the Main Page as below.